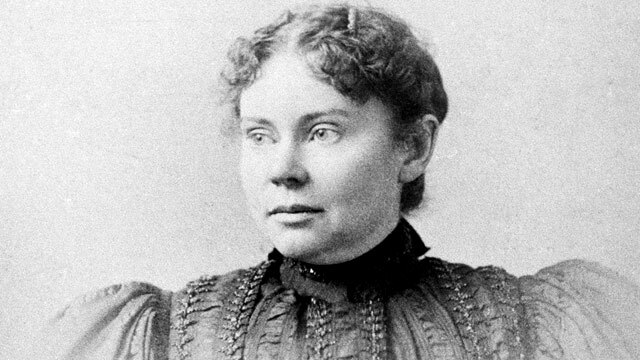 The notorious 19th-century trial of Lizzie Borden, a wealthy New England woman accused of killing her parents with an ax, is back in the spotlight with the discovery of her attorney's handwritten journals, providing fresh insight into the relationship with her father. Borden was acquitted in 1892, and much of the evidence in the case ended up with Andrew Jackson Jennings, Borden's attorney. The two journals, which Jennings stored in a Victorian bathtub along with other evidence from the case, including the infamous "handless hatchet," were left to the Fall River Historical Society by Jennings' grandson, who died last year. The society received the fragile journals about a month ago but won't be exhibited until they are properly preserved, curator Michael Martins said. Each journal is about 100 pages. One contains a series of newspaper clippings, indexed using a lettering and number system that Jennings devised. The second contains personal notes that Jennings assembled from interviews he conducted. Some of the individuals interviewed are people mentioned in the newspaper clippings Jennings retained. "A number of the people Jennings spoke to were people he knew intimately, on a social or business level, so many of them were perhaps more candid with him than they would have been otherwise," Martins said. "But it's also evident that there are a number of new individuals he spoke to who had previously not been connected with the case." Martins and fellow curator Dennis A. Binette published a book last year called "Parallel Lives" that included five photographs and 40 letters and documents in Borden's hand that had not been previously published. Borden was imprisoned in Taunton, Mass., for 10 months pending her trial, and several of the letters published in "Parallel Lives" were written from her prison cell. Borden, who was 32 at trial, has been portrayed as a cold, stoic individual who showed no emotion, but the letters show a sensitive, grieving side of her. Borden's father, Andrew Borden, became known as an evil man who did not provide for his daughters. But Martins says the journals and letters paint Andrew Borden differently. "You have to create villains in order to justify the murders, and Andrew Borden is portrayed as evil, but he gave his daughters a lot more than some other fathers were giving theirs," Martins said. Jennings' notes in his journals show he interviewed people who knew the Borden family intimately and were familiar with Andrew Borden's relationship with his daughters. "Lizzie Borden cared for her father very deeply," Martins said. "There was a tremendous outpouring of grief in the letters, and that's a new side to the story." "Lizzie Borden took an Ax, And gave her mother forty whacks, When she had seen what she had done, She gave her father forty-one." "Most of what is known about Lizzie Borden is based on legend, innuendo and outright lies," Martins said. "Fact has been suppressed by fiction, and the fiction is much more interesting to a lot of people."